So why are there numerous ways and means of worshipping a single God in Hinduism, that too in different forms? There are some amongst also, who mock that there are numerous Gods within Sanathana Dharma (Hinduism). In everything, the deepest and correct truth has to be understood instead of just skimming through the context and make a partial and incorrect opinion and keep insisting about them. Renouncing the world, controlling their minds for years together, what the Rishis have discovered using their spiritual prowess should be correct on all accounts. Again it is wrong to just pass comments on such without even attempting to understand. This world comprises of numerous varieties of animals, trees, plants, birds, languages etc. Even in the human race, the count exceeds numerous crores. In all this, no two people are even similar to each other in the physical semblance and characteristics. The likes and dislikes also vary much between individuals, not to mention their differences in food, clothing, culture, habits, mindsets etc. What one perceives as good, does not strike as good for another. Some like idlis, some like dosas and yet some others like chapatis (Indian foodstuff). Even amongst those that idlis, some people like chutney and some like sambhar as accompanying dishes. Even this simple example, we can understand tat human mind is made of and needs variations. It is very difficult to change this natural aspect – the variations in human minds and likings. With such difference of attributes among humans it is important to seek and understand The Lord – who does not have any variation. Thus it is very difficult to sustain and develop involvement of all people in the path to realize God, if concepts of one form of God or even one path to attain Him are enforced. It is difficult for a man to change his mindset and proceed in search of God who is all pervading and endless. The Lord is all powerful and hence steps down to a level that humans can contemplate and understand. For those who have affinity towards qualities such a Truth and Dharma, He appears as Lord Rama; for those who enjoy their God as playful and loving, He appears as Lord Krishna; for those who involve themselves in Bhakthi, Service, Brahmacharyam etc, He appears as Lord Hanuman; yet for others The Lord appears as Devi for those who seek a parental relationship with God. It is so arranged that each person can follow the route he likes and can stick to, in his search for that one God (sachidananda) principle. Somebody has a plan to rob from others. Due to strict rules in his country, he does not undertake his plans and actually steal. As long as he still toys with his idea to steal he will not become a good man. So the rules and regulations have not made him a better person. It has only been successful in having him scared. When opportunity strikes, the man will not hesitate to cheat the laws and start stealing. So unless the mindset of a person is changed, any external change in his actions is not an actual change – not a permanent change! Why doesn’t God punish a wrong doer instantly? Some ask why God does not punish a sinner immediately for his sin. They expect that a person who sin with his eyes should lose his eyes. The reason why God does not punish sinners thus is because any punishment meted out physical pain is not an effective method. God’s Grace is bountiful. That is why God is very patient with our sins and mistakes! A person with complete devotion cannot even imagine a temple deity as just stone or metal. We see that rituals and worship methods vary between temples and places, even for the same form of God. It confuses to understand which method actually pleases Him. All methods of prayers to Him are correct. This is similar to a child who practices and likes only the food habits that is trained by his mother. Similarly a form of God which has been invoked by Mahatmas at a particular place and been serviced by those Mahatmas in their own styles, always expect worship procedures in the same manner; and should be celebrated such. This is the reason why there are so many different worship methods, differing by places and cultures. Devas, Kinnaraas and Siddhas still worship The Lord at such holy places. Even if it is not physically visible to a common man’s eyes, it is very evident to Mahans. That is why the Godliness of those holy places does not reduce. There are many rules laid down by Holy Sashtras in construction of a temple. That is even looking at the RajaGopurams of such aesthetically and scientifically built temples with correct features, brings about peace and calm to a mind even when viewed from far. Understanding these concepts, people should follow the correct rules and perform worship in correct procedures; by this we can achieve their highest goal of God realization by means of correct minds and means. Is it ok to focus on material upliftment at a young age and wait for later to start Bhakthi? A lot of people say that Bhakti can be performed at old age. But nobody thinks if they can start eating at their old age. If they do so, then their bodies will become limp without energy. Similarly if they don’t perform Bhakthi, their Atma strength will decrease and wilt. They should realize this. Moreover, for all the time that Bhakthi is not developed and vested upon God realization, the karma will increase and accrue lakhs of rebirth before when Liberation can be attained. So Bhakthi is also something that should be taught and practiced from young age. Many around the world think that the purpose of Bhakthi is to beget a luxury home, professional upliftment, wealth, family and health. Actually with the help of all these aspects, one should start threading on Bhakthi path – that should be the ultimate goal. Even when one possesses all these but does not have Bhakthi to seek God, he is equivalent to a flower without fragrance! It is difficult for a normal human mind to understand a mind of a great Mahatma. It is normal that a human being needs to vest his affection on another being. Families adopt a child if they don’t have one borne for them. Why? Is it because they expect material support at their own old age? Are they fools enough to expect this when nowadays even one’s own child does not bother enough about their own parents? A reason for a mother’s love on her child is that love is natural in her and the child is a natural subject for her love. Similarly parents adopt to vest their natural love upon a subject. If we learn to and are able to vest such a natural love upon God, then that is Bhakthi. Bhakthi is so beautiful and heart warming. At about the age of 50 and more, at the time of retirement from work, most of us are tired from work thus long and affected by ailments of eyes, ears and tiredness. Only because of this, even organizations provide compulsory retirement to many. Work that is rendered using mental faculties is more difficult to sustain and achieve than physical hard-work performed using muscle power. That is why in any society, the lawkeepers (judges), ministers, and higher officials are paid more and considered cream jobs than others. Bhakthi is something that needs to be done by and for control of mind. When attempted only during one’s old age, this is not going to be achieved fully and completely. One is not even considered fit for his professional work by then. 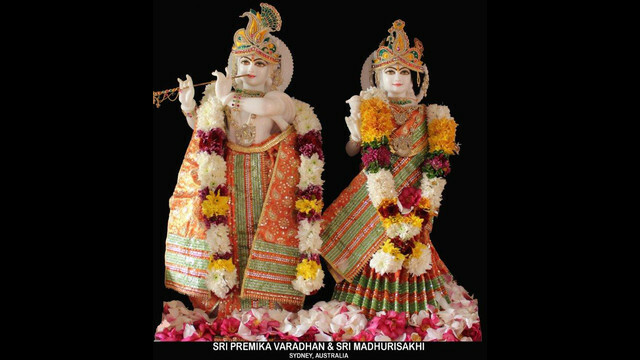 Click here to enjoy out garland of Bhakthi for Margazhi 2014 - our online special!